Shaula has been a Strong Like Her client since February 2018, but we’ve known each other for much longer. In fact, she was a personal trainer at 24 Hour Fitness when I began working there in early 2012. Though, we respected each other as peers, we weren’t close personally. Admittedly, I was a little shocked when Shaula messaged me inquiring about my training services, but excited about the prospect of working with her on a different level. Thanks to good ol’ Facebook, we still had ties after we each left to become girl bosses (i.e independent trainers). Shaula has had a handful of trainers over the years, but much to my surprise, never a female trainer. How thrilling that I would get to show her how I do things! 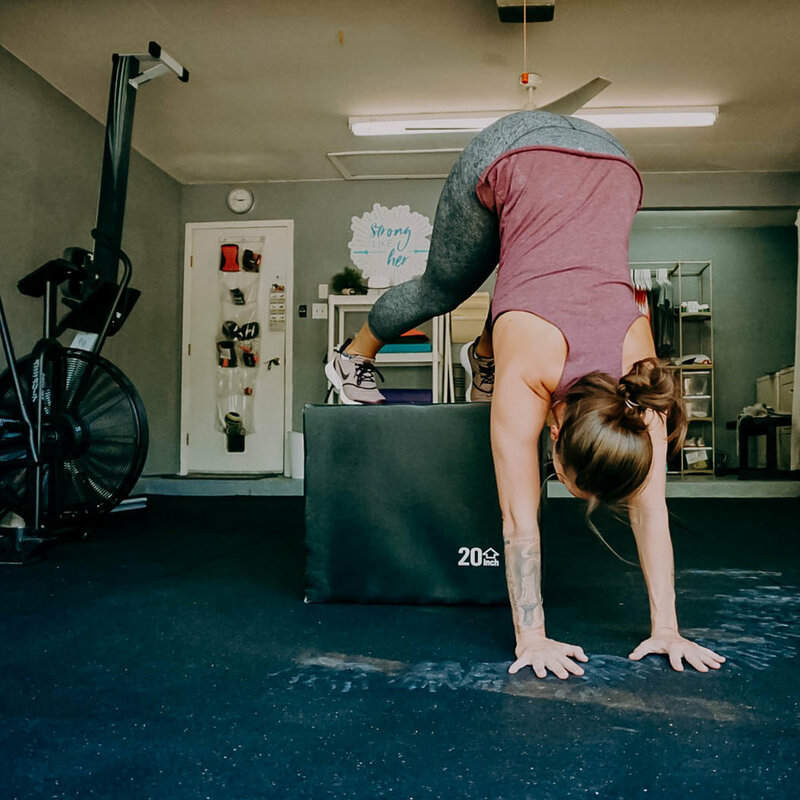 Aside from wanting to get back to herself and her own needs, Shaula was also prepared to step into something completely new and different with her fitness goals. She was intrigued by CrossFit, but wasn’t necessarily interested in joining a box. She knew I had a CrossFit background, as well as a CrossFit Level 1 Trainer certificate. 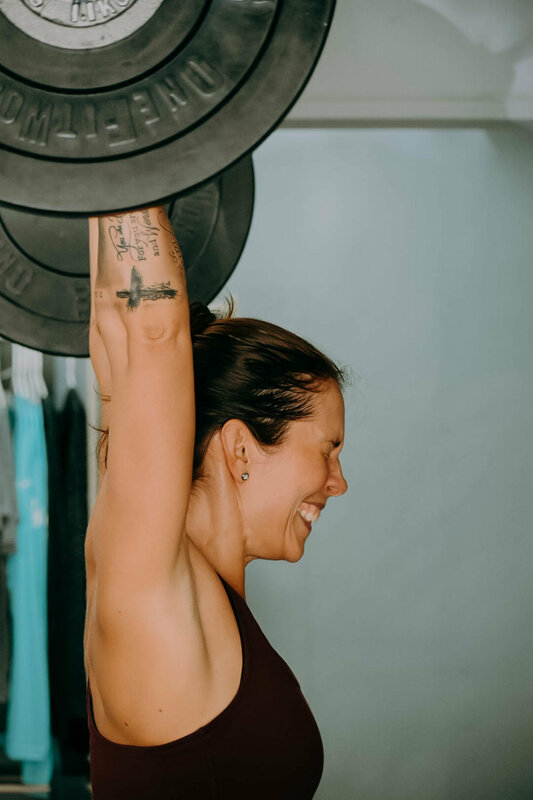 She liked the idea of learning some gymnastics skills while also tapping in to her love of the iron in this new season of her life. Shaula set a new personal record for her 1-Rep Max deadlift at 195# following a strength cycle earlier this year. She had never previously trained this lift. Over the past eight months, I have seen a remarkable transformation within Shaula. It was clear that she had some residual effects from her last relationship that needed tending to—very understandably so—and it has been incredibly brilliant and powerful to watch her shed those insecurities to regain her true sense of self: a bold, assertive, confident woman who knows her worth, who has a voracious appetite for personal growth, and is fierce and strong, yet soft and humble. 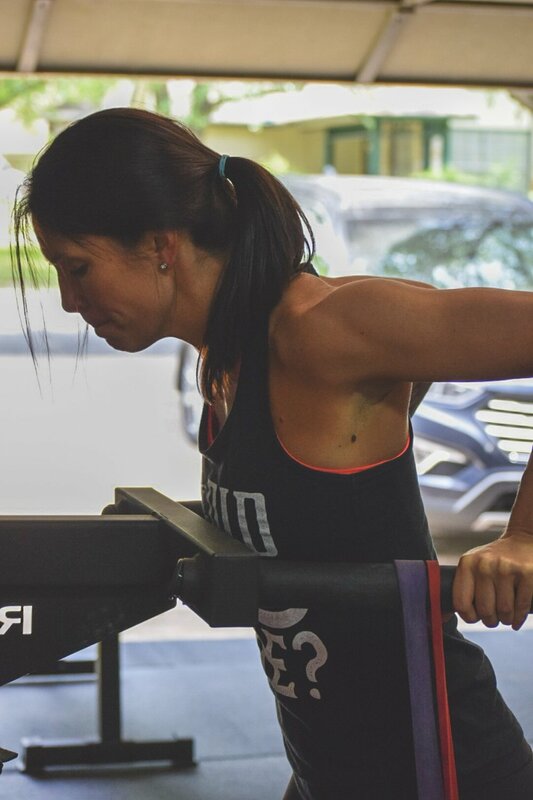 It has not only been insanely FUN to train Shaula, I’m completely and utterly impressed by her dedication, resolve and GRIT, both mentally and physically! Kicking up to a wall for handstand work! Get to know a little more about Shaula below!